Rustling Oaks: 1 bed / 1 bath. Sleeps 4. 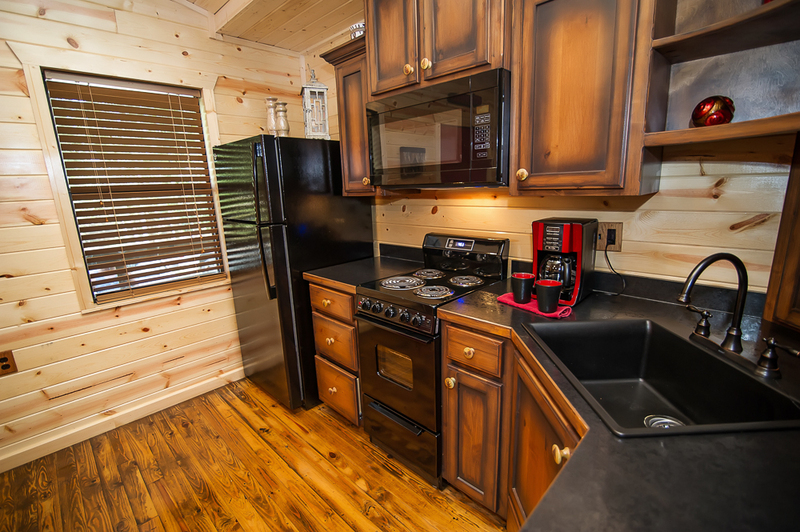 Many of our guests come to Southeastern Oklahoma for the bass fishing, trout fishing, and boating and just need a cabin that gives them a full, ready to cook kitchen, comfortable beds, and a chance to watch TV or sit on the deck - Simple yet comfortable. Our 3 Oaks cabins have you covered! 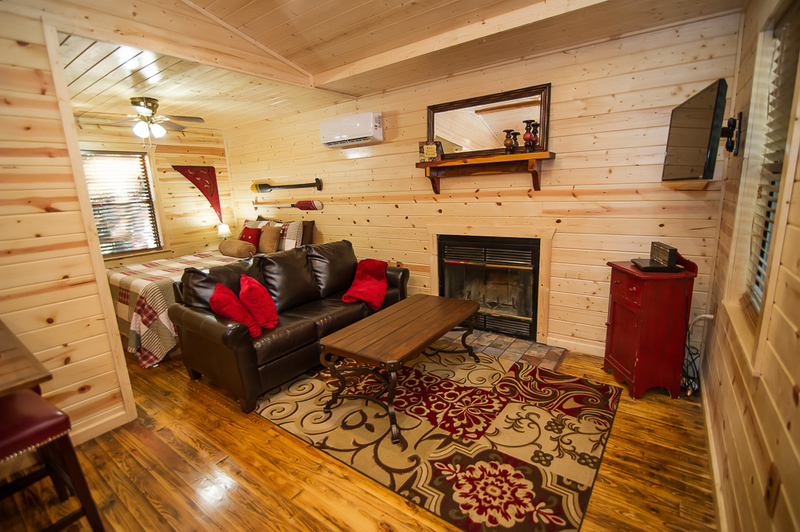 These cabins give you the choice of either a 1 bedroom and 1 bath or a 1 bed studio plan with a bathroom. 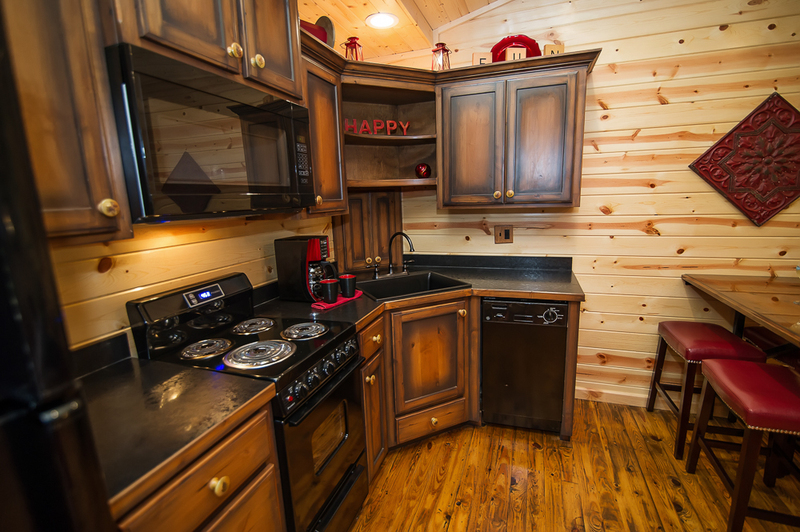 All the cabins feature kitchens supplied with all the dishes, pots, pans, and utensils you will need for basic family meals. Each cabin has a fire pit and charcoal grill that are just waiting for you to strike a match. Back decks and covered front porches make a great place to relax and watch the sun set on a busy day - Tall Oaks and Oak View include a hot tub in a private gazebo. All cabins are also outfitted with Free WiFi. But sportsmen aren’t the only ones who will enjoy the simplicity of a 3 oaks cabin. Because the 4 cabins are within walking distance of each other and share a covered pavilion, they make great places to get larger groups together. Family reunions, class reunions, church groups – you name it.